Jordan Brand is out to make noise in the final days of 2013 and they are expected to make waves right now as they release the Christmas edition of the seventh signature shoe of Los Angeles Clippers superstar Chris Paul. 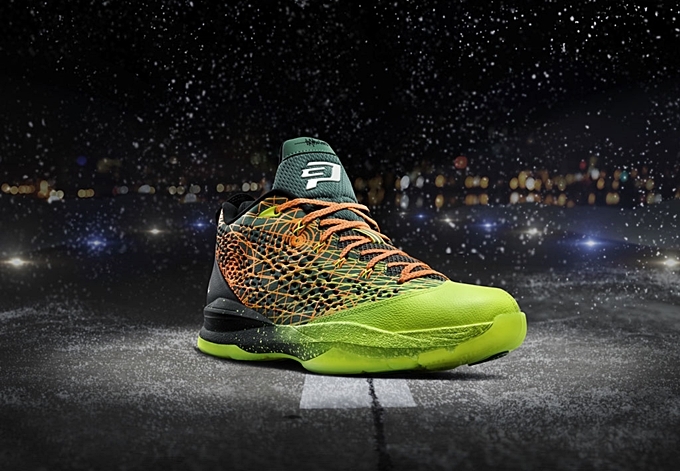 The Jordan CP3.VII “Christmas” is set to arrive at retailers as part of JB’s “Christmas” pack on December 24th, Tuesday. This shoe sports a flight map pattern on the upper part accented with jade, total, orange, and volt accents. This is expected to be worn by Paul in their Christmas Day game against the Golden State Warriors. Make sure to check this eye-catching kick out!